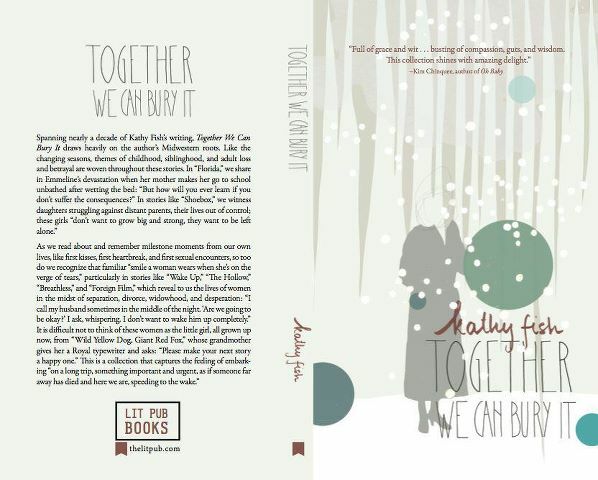 Having picked up a copy of American flash fiction writer Kathy Fish’s debut collection of stories, Together We Can Bury It (LitHub, 2013), I’m heartened to hear that she has a new one forthcoming. As she responds in an email: “It's a new edition of my Matter Press book, Wild Life. It has sort of morphed into a ‘best of’ collection, taking stories from my chapbook from Rose Metal Press, Together We Can Bury It and Rift and including some new work as well.” I first discovered her work after having my own appear in The Best Small Fictions 2017 anthology. Given the strength of her work included in the anthology, I was immediately attracted to ordering her LitHub title for the sake of flights and otherwise UK travel (when else might I be able to read longer fiction, being home with two small children under five?). A writer of “flash fiction” (a term that I don’t hear as much north of the border), the forty stories collected here, collected from a decade’s worth of work, are short, sharp and move quickly. Rich in information, her stories pull you in immediately and hold you there for as long as she requires, getting right to the point, and then some. It was like the time we broke icicles dripping from the low eaves and brandished them like swords, slashing and sparkling, and you cut my cheek and dropped your weapon. Or the time we got up early and hiked until we came to a cliff and looked down into the valley covered in dew and you made to push me over the edge, but grabbed me around my waist before I fell. The night you ran away, you stood under the barn light, tapping your fist on your palm while I called you names, saying I never liked you anyway, ugliestworstmosthorrible brother ever. You left, hitchhiked all the way to Houston, and one night, months later, we looked up and saw you at the table eating watermelon in the dark. Kathy Fish’s stories might not have the impossible-density of the prose-poem/fictions of my own perpetual favourite shorter story writer, Lydia Davis (an unfair comparison, I know), but, instead, manage to exist in a space between Davis and a more traditional short story writer such as Lorrie Moore. Fish’s stories focus on the balance between quickness and long effect of human interactions and interpersonal moments, how one choice or action can have ripples that move far further than one might expect, and in very unexpected ways. Her stories have incredible wit and insight, and incredible compassion. While it might have taken some time for me to pick up on her work, I am extremely glad that I did, and even moreso that she has a new title forthcoming.